The WAVE Hybrid is a unique new addition to the MDA Brand. 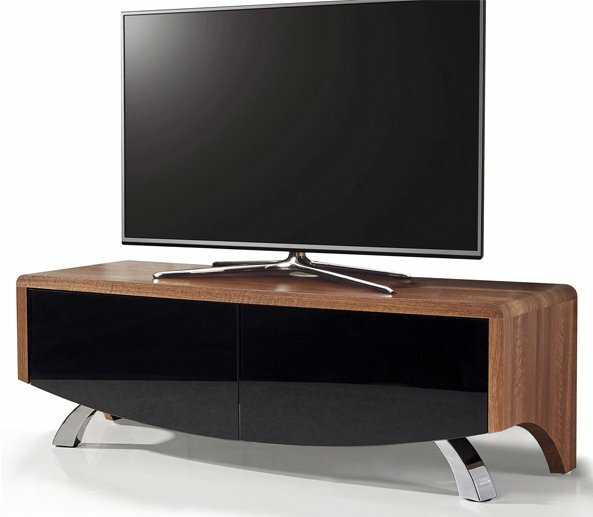 Finished in a range of Satin Black, White & Walnut, Oak finishes. 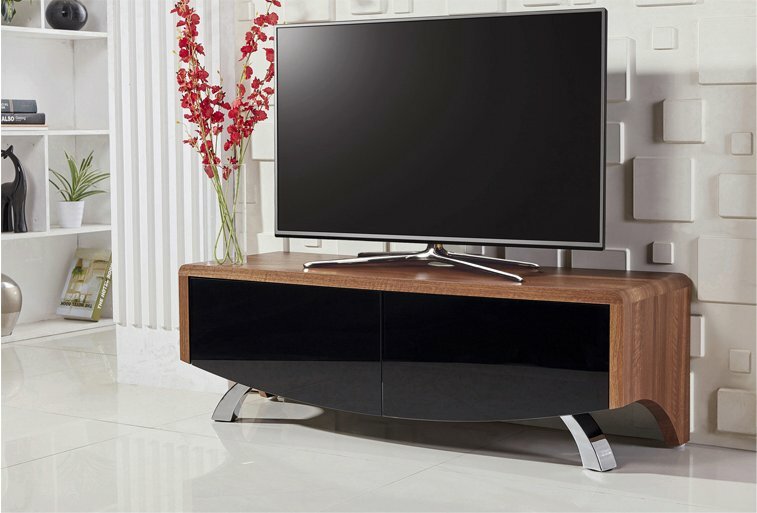 The sweeping lines of the cabinet are complimented with curved chrome legs. The twin soft open / close BEAMTHRU doors reveal twin compartments for all your AV equipment whilst offering ventillation & cable management. The best feature however, is the Hybrid compatibility. 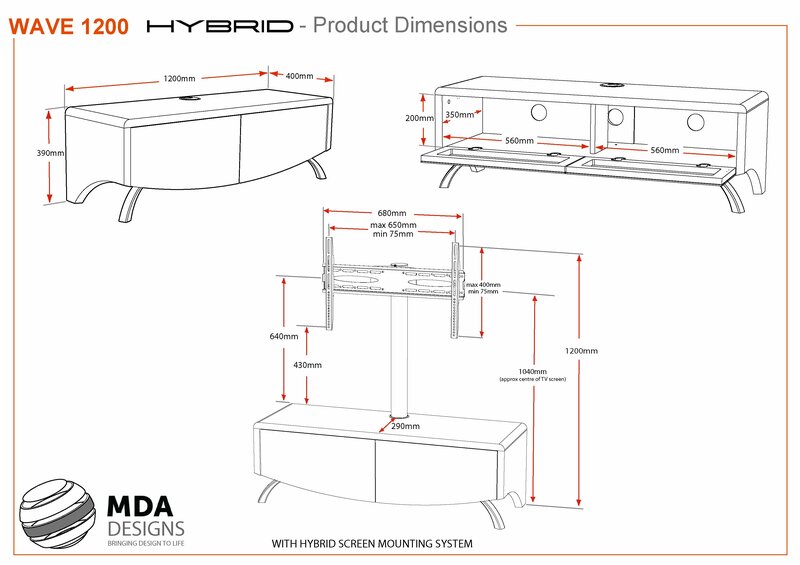 All WAVE cabinets are compatible with the Hybrid Screen Mounting System. 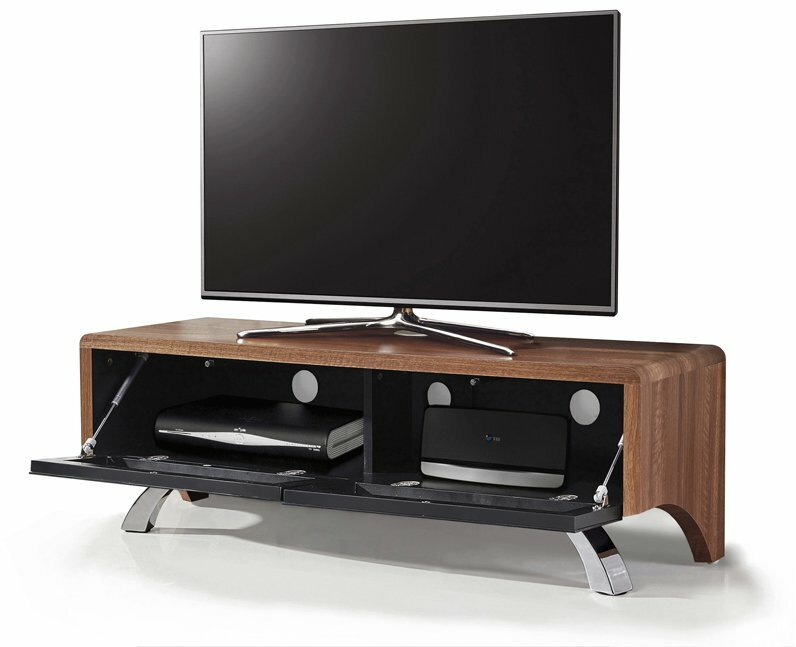 Once fitted it transforms the cabinet into a cantilever style system to give your TV screen a floating appearance. With incorporated 60 degree screen rotation & fully integrated cable management system. Additionally keeping your TV screen safe with the built in screen secure system.